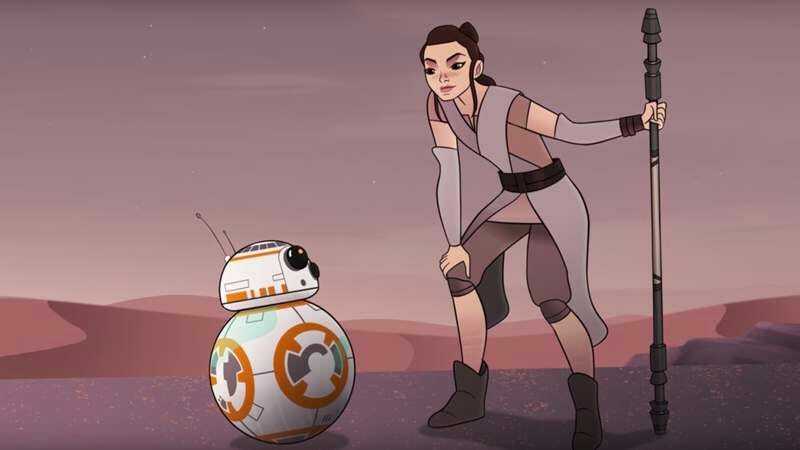 Star Wars: Forces Of Destiny is a new series of animated shorts about the female characters of the Star Wars universe that feature the actual actors reprising their roles (for the most part), and Disney released the first episode online earlier this week. Starring Daisy Ridley, the short—titled “Sands Of Jakku”—takes place shortly after Rey meets BB-8 in The Force Awakens, and it could fit so easily into that movie’s story that it might as well be a canonical deleted scene. Plus, it gives Star Wars fans a chance to see something else happening on the sand-covered dump that is Jakku other than people salvaging junk from crashed spaceships or getting an unfair number of portions from Unkar Plutt. Future shorts will star Leia, Jyn Erso from Rogue One, Ahsoka from Clone Wars, and Sabine from Rebels. Maybe the’ll even get Captain Phasma in there at some point, since it would be nice to see her do something.